Quoted by The Sunday Times as “One of the UK's Best Coastal Cottages", Blue Monkey is a luxury, 5 bed self-catering holiday home in Cawsand, South East Cornwall. Surrounded by beautiful countryside and a stones' throw from three sandy beaches, Polhawn Fort and Whitsand Bay, this gorgeous bolthole has something for everyone. From the moment you arrive, you will feel at home. A delicious array of seasonal goodies and a bottle of bubbles await, so you can start your holiday the moment you walk through the door. 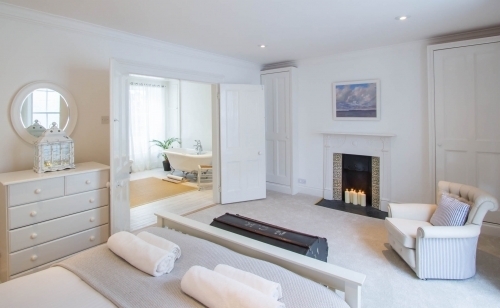 Blue Monkey is perfectly appointed for young children and babies so parents will feel at ease in this seaside haven. Well behaved dogs are also welcome so you can bring the whole family. We offer a bespoke concierge service to all our guests, so if this is your first time to the area or you're a seasoned traveller looking for something special, we are on hand to help. Just drop us an email or give us a call and we will be delighted to assist. Blue Monkey is excellent in every way. The on site management was available at all times to answer any of our questions. The house is lovely and the patio and garden are gems. The towns of Cawsand and Kingsand have wonderful restaurants. Something is always happening at the harbor. Every necessity that you could possibly need in a house rental has been anticipated. "One of the Best Holiday Homes in the UK", The Sunday Times. Blue Monkey caught our eye via a glowing article in The Sunday Telegraph, saying it is, &ldquo;One of the Best Holiday Homes in the UK.&rdquo; We thought this sounds too good to be true, but our expectations of www.bluemonkeycornwall.com were exceeded from the moment we arrived enjoying complimentary bubbles and nibbles on arrival to our last coastal breath. It truly deserves every one of its Gold 5*s by the AA and its 150 5* Trip Advisor & Trust Pilot reviews. The secret is Annabel the manager and the concierge service are second to none and the team are on hand to ensure you have the most fantastic stay in this stunning Cornish coastal bolthole, which sleeps 10 in luxury and is exceptionally baby and pet friendly, its better equipped than my home. 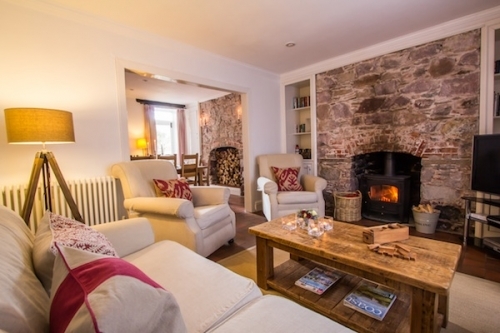 Definitely one 5* secret family and pet friendly holiday home to add to your black book! But please don't take my word for it visit www.bluemonkeycornwall.com to find out for yourself. Five-star luxury dog and family friendly cottage by the sea in a peaceful car-free village seconds from the beach in Cornwall's forgotten Corer: the Rame Peninsula. BBQs in the garden, a concierge service, Blue Monkey is the perfect family holiday.